Bob Webster and I had actually started the conversation on his Saturday show about what had been our most productive tomatoes in the past. Below is the list that Bob and I finally came up with. Celebrity, Porter, Early Girl, Tycoon, Juliet, Sun Gold, Big Beef, Valley Girl, Roma, Mama-Mia, Fox Cherry, Yellow Jelly, Bella Rosa, Crista, Wild Current, Super Fantastic. Here are some of the comments from our listeners about their tomato favorites. Hope this will help next time you are ready to buy seeds or transplants. Heather - My plan this summer is to actually record first production dates, and weigh and record everything. Record keeping is my downfall, so wish me luck! Sungold produced all season, even through the worst heat. Juliet is a super producer,.Celebrity, and yellow Emmy's did well also (which was a surprise). The Indigo Rose produced very well, but the mockingbirds loved them and pecked most of those. Fran - Super Fantastic has been my best producing with Celebrity coming in second. I haven't tried some of the others but will now. Leslie - We do about 25 plants, all Valley Girl, Early Girl and Sam Marzanno here in Austin. Over 70 lbs last year - more the year before. We do Sweet 100's - 3 to a 5 gallon bucket as well. 6 total. Jenni - This past summer, I couldn't keep up with the yellow pears! And they were wonderful! Definitely planting them again this summer. Robbie - Love the Sun Golds and they have always done great for me! Bea - Purple Cherokee and Boxcar Willie. Lynette - My favorite is Early Girl. They always seem to make good! Donelle - Black Plum and Yellow Pear for heirloom varieties. Anne - I harvested four quarts of Juliet tomatoes yesterday but our eight foot tall plant is in a greenhouse that we are heating. With weather like we are having, we will soon have to decide if we should keep heating, as it is getting cost prohibitive. Dale - Bloody Butcher (an heirloom variety) is very good. Cory - We were blown away by Porter's last year. Del - I'm finding that determinate varieties like the Celebrity are just as productive as the indeterminate because the heat finishes them all off after the first crop anyway. Last year Celebrity and Early Girl were fantastic. Any variety of cherry always performs. Romas do wonderfully. I'm in Waco where we are over and done basically by July 1st. Melinda - I have had great success with Sweet 100s or any cherry or grape kind, but terrible luck with any big ones! Any ideas? Donna - Juliet and lemon boy are good producers; Cherokee purple & Big Beef for best taste! Glenda - Chocolate Cherry has been a very good producer for me for the past two years. Debbie - I moved back to Irving, TX after being in Miami, FL for 11 years. Didn't have a garden last year but planning one this season. I'm going to do an experiment. I saved heirloom tomato seeds from some great ones I grew in Miami. Miami had very poor soil - actually just coral rock & sand, so I grew in raised beds with compost and purchased garden soil. These tomatoes were prolific: Podland Pink, Yellow Banana and Black Zebra. I'll let you know how my experiment goes. Nicky - My fail-proof producers are Juliet, Sun Gold and Yellow Grape. Alexa - Yellow pear has done really well for me, even when neglected. David - Two years ago, a MG planted a grape tomato. Didn't produce; just grew up, out, down to ground & along ground for 3+' until early October. From then until freezes killed it on 27 November, it produced just over 2,700 tomatoes. (This might be Wild Current). Charles - From West Kentucky. Celebrity and Mountain Fresh have been the best producers for me. I planted 23 of each last year. Mountain Pride did quite well. 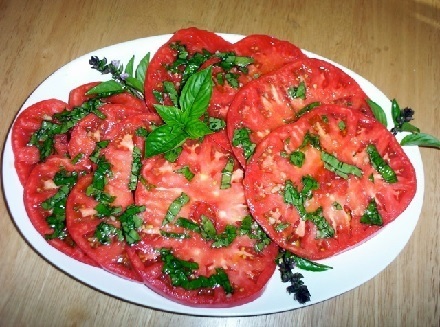 The best tasting tomato I have had is Belgian Giant. Yvonne - I have had success with Celebrity and Early Girl. Georgia - Cherry tomatoes and Small Fry. Unable to find them for couple years. Chris - Yellow Pear, Improved Porter, Golden Mama and Celebrity. Lucinda - Celebrity planted in a whiskey barrel! Erika - Yellow Pear, Snow White and Supersweet 100. All grow rampantly and produce more than enough for my family and several neighbors. Kimberly - German Johnsons did great for us last summer as did Brandywine in PA.
Ken - Two years ago I had Abe Lincoln and they just wouldn't give up! Still producing in early November. Lynn - Yellow Pear produce best for us. Not that many make it into the house. Stephanie - Forsyth last summer. Homestead really performed well! Also, Pantano Romanesco (heirloom) was the bomb! Prolific and tasty. To discuss this newsletter or any other topic, tune in 8am -11am CST to the Dirt Doctor Radio Show. The phone number is 1-866-444-3478.